Hopefully the sus­pense of how to take care of your liv­er prop­erly has not been driv­ing every­one crazy! I for­get how busy the fall can be with get­ting back into our reg­u­lar sched­ules. The liv­er with its many tasks of break­ing down tox­ins and allow­ing them to be excreted by the gastrointest­in­al tract and the kid­ney some­times needs more sup­port. If you are liv­ing in an envir­on­ment with a great deal of tox­ic expos­ure, have been eat­ing highly chem­ic­al-laden foods, are exposed to addi­tion­al hor­mones (either through plastic, water, meat, or syn­thet­ic in hor­mone ther­apy), or have had a great deal of phar­ma­ceut­ic­al med­ic­a­tions recently or in the past you might need to help out your liv­er. That includes most people! To sup­port the liv­er, you do not neces­sar­ily need to do a detox­i­fic­a­tion pro­gram. There are bio­chem­ic­al pro­cesses in the liv­er that detox­i­fy and can be sup­por­ted gently as the liv­er uses cer­tain nutri­ents to help move things out of the body. Detoxification is a concept that the mod­ern world has changed, is not always done safely and so I will focus on the nutri­ents that can help the liv­er in less extreme ways. Many times I do see detox­i­fic­a­tion used as an excuse to starve one’s self, and that is not the pur­pose. Involved in so many bio­chem­ic­al pro­cesses in the form­a­tion of red blood cells, iron reten­tion, and hor­mone pro­duc­tion that are all done in the liv­er and so you want to be sure to be giv­ing more B vit­am­ins rather than less in this situ­ation. Involved in cho­les­ter­ol form­a­tion, coen­zyme Q10 or ubi­quin­ol is a fat-sol­uble enzyme that can be relied upon more heav­ily in a liv­er that is laden with too many chem­ic­als to break­down. Used as an energy source in our cells, sup­ple­men­ted CoQ10 helps to ease the pres­sure on the body from mak­ing its own (espe­cially when it needs more). 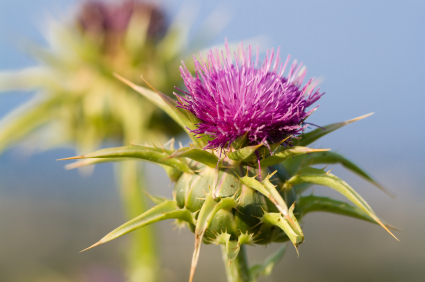 Hands down, milk thistle is one of the unsung her­oes for the liv­er. It acts like a little house clean­er, and goes around each hep­ato­cyte (liv­er cell) and cleans out the “gunk” and makes way for the new. It is so help­ful that it can be taken for those with fatty liv­er syn­drome, alco­hol­ism recov­ery, autoim­mune hep­at­it­is, hep­at­it­is B and C to name a few con­di­tions. This can even be con­sumed as a tea! A deriv­at­ive of the amino acid cysteine, N-acet­yl cysteine or NAC is involved in pro­duc­tion of the molecule gluta­thione, a vital part of the bio­chem­ic­al path­ways involved in detox­i­fic­a­tion. Known to sup­port liv­er dis­ease-induced alco­hol dam­age, met­al tox­icity and pois­on­ing, a nutri­ent that is known to help with liv­er recov­ery. You do not have to drink this! An old rem­edy used to assist with con­stip­a­tion (it can really get the bowels mov­ing), castor oil is not only anti-inflam­mat­ory but does help with cir­cu­la­tion. Applied on the liv­er bor­ders (on the skin, not intern­ally!) and covered with heat, castor oil can gently increase liv­er cir­cu­la­tion. Aside from sup­ple­ment­a­tion, dark leafy greens and beets (fresh and steamed are bet­ter than beets-in-a-jar) are the liver’s favour­ite foods. If you have trouble get­ting them fresh in the fall, juice them or throw them in a smooth­ie. Your liv­er will thank you!